UFO SIGHTINGS DAILY: UFO hovering over Detroit Causes Excitement On June 2016, Video, UFO Sighting News. 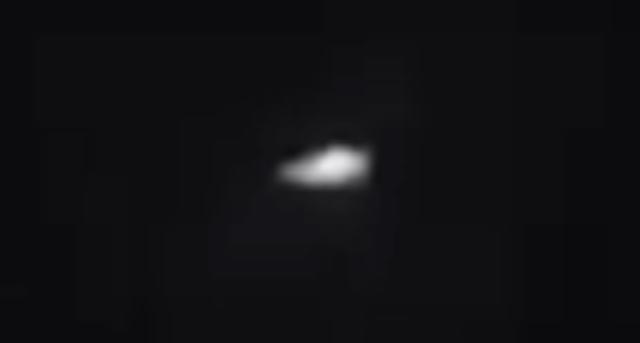 UFO hovering over Detroit Causes Excitement On June 2016, Video, UFO Sighting News. I usually don't post a lot of night UFO sightings due to the fact its night, and not much can be seen, but this in cool, because it does look like a disk and she gets more than a minute of footage. Possibly checking into how the polluted chemical ridden water is affecting the residence of the city. There is always a reason when they appear. We just rarely know about it. DETROIT - A Detroit woman says everybody thinks she's going crazy -- but she is standing by what she saw hovering above her home on the evening of Friday, June 3. Vanessa Oliver has video of what she claims to be a UFO above her Detroit home, near Gratiot Avenue and Van Dyke. More Features Headlines Michigan's Bath School disaster remains deadliest of its kind in US history When the 'Purple Gang' ruled Detroit Netherlands UFO gets international attention In the video, Oliver claims she has seen the same light in the sky several times before, but finally captured it on video. Oliver tells Local 4 the video didn't do it justice; that she could see more detailed, colorful lights. She captured the video around 9 p.m., on June 3, which shows the mysterious light floating, and moving around in the night sky. "Tell me I'm going crazy. Tell me that I don't see what I think I see," Oliver said in the video. "I will not sleep tonight. This is scary."